This page will detail all of the polls that I have taken on the old version of the site. Polls haven’t been implemented in the Jan 2012 revision of the site as of yet. Will figure that out later. Poll #38: Which “The Devil You Know” cover do you prefer? Poll #36: Would you rather the new album be called Heaven & Hell or Black Sabbath? Poll #35: What was your favorite new track from The Dio Years? Poll #34: What did you think of the new track, “The Devil Cried”? Poll #33: How do you feel about the band playing no Ozzy era songs on the 2007 tour? Poll #32: Will you attend the Heaven & Hell Tour? Poll #31: Which is the best Sab related solo album of 2005? Poll #30: What is your favourite song off the Tyr album? Poll #29: Have you, or are you seeing Black Sabbath in 2005 on tour? Poll #28: What is your favorite song from the “Headless Cross” album? Poll #27: What is your favorite song from the “Eternal Idol” album? Poll #26: What should Black Sabbath do in 2005? Poll #25: What is your favorite song from the “Seventh Star” album? Poll #24: Was a temporary poll inquiring about forum usage on the forums. Ran from Oct 30 to Nov 22nd, 2004. Poll #23: What is your favorite song from the “Born Again” album? Poll #22: What is your favorite song from the “Mob Rules” album? Poll #21: What is your favorite song from the “Heaven & Hell” album? Poll #20: What is your favorite song from the “Never Say Die!” album? Poll #19: What is your favorite song from the “Technical Ecstasy” album? Poll #18: What is your favorite song from the “Sabotage” album? Poll #17: What is your favorite song from the “Sabbath Bloody Sabbath” album? Poll #16: What is your favorite song from the “Volume 4” album? Poll #15: What is your favorite song from the “Master of Reality” album? Poll #14: What is your favorite song from the “Paranoid” album? 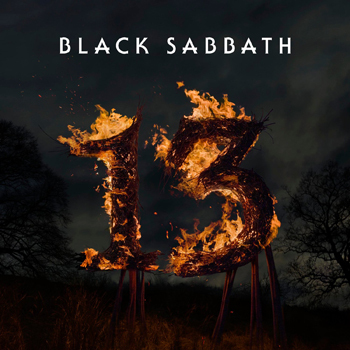 Poll #13: What is your favorite song from the “Black Sabbath” album? Poll #12: If Ozzy were to quit Sabbath again, which former Sabbath vocalist would you like to see in his place? Poll #11: Which of these Sabbath albums is the most underrated? Note: This poll originally had been replaced around Oct of 2001, but due to the server being hacked at some point in Dec of 2001, the replacement for it was lost, so this was resurrected and ran until Apr 2002. Poll #10: Which of these songs would you want Sabbath to drop from the set list? Poll #9: Are you attending Ozzfest just to see Black Sabbath? Poll #8: Are you planning on attending Ozzfest 2001? 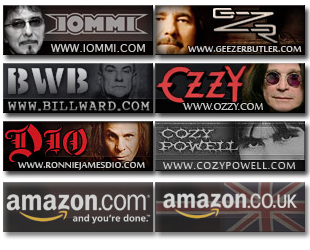 Poll #7: Which of these singers should Iommi have used on his solo album? Poll #6: Whose solo album are you looking forward to most? Poll #5: How many times have you seen Black Sabbath live? Total votes – 5,924. Poll ran from January 11th to February 18th, 2000. You can view a graphical representation of the votes here. Poll #3: What should Sabbath do in 2000? Total votes – 2,624. Poll ran from December 22nd, 1999 to January 11th, 2000. Poll #2: Who is your favourite Sab drummer? Total votes – 6,201. Poll ran from October 21st to December 22nd, 1999. Poll #1: Who is your favourite Sab singer? Total votes – 7,933. Poll ran from August 26th to October 21st, 1999.